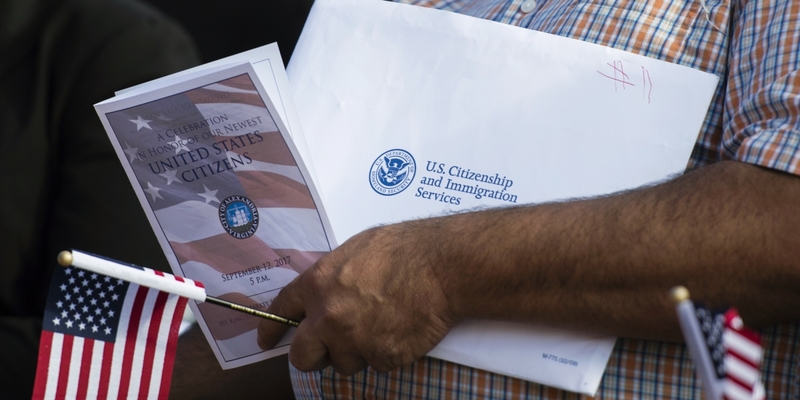 ﻿ What are the Advantages of Becoming a U.S. Citizen? What are the Advantages of Becoming a U.S. Citizen? Many lawful permanent residents (green card holders) are satisfied with the ability to live and work here in America, but others want more and seek to become U.S. citizens. Naturalizing as a U.S. Citizen demonstrates a commitment to the United States of America and offers several emotional and patriotic benefits. One such benefit includes the right to vote in U.S. elections. That powerful right gives the American citizen the ability to have a voice in government on decisions related to immigration reform, education, healthcare and many more aspects of life in the U.S. Additionally, some naturalized citizens have a strong desire to take an even larger role governing in America wishing to serve an elected office, and many of those elected offices require U.S. citizenship. There are many other practical reasons to seek the rights and privileges of citizenship, too! For one thing, it’s more cost-effective to become a U.S. citizen than it is to remain a lawful permanent resident. The fee for renewing a green card is currently $540. If the green card is lost, stolen, or damaged, the cost is an additional $540, and that fee will be required again in another 10 years for the next renewal. The one-time United States Customs and Immigration Service fee for the naturalization application is $725, so in the long run it is significantly less expensive than the fees for maintaining permanent resident status. With regard to the immigration of other family members, U.S. citizens have the privilege of helping family immigrate at a much faster pace than the family member of permanent residents can. The number of immediate relative immigrant visas for spouses, unmarried children and parents of U.S. Citizens is unlimited. However, there is a limit to the number of family preference immigrant visas for relatives of lawful permanent residents, and there can also be very long wait times and subsequent delays to the process. Another important fact to consider with regard to family members is that a child born abroad to a U.S. citizen parent or parents may acquire U.S. citizenship at birth. This is not the case for the child of permanent resident parents. Additional opportunities are opened up to those who are naturalized citizens. Most positions with government agencies require U.S. citizenship and in many cases, only U.S. citizens are eligible for government financial aid and grants such as college scholarships. U.S. Citizenship provides the chance to be an applicant not only for U.S. government positions, but for grants as well. Another important consideration for naturalization is the fact that traveling abroad is much easier for a U.S. citizen. There are specific countries that allow entry to U.S. passport holders for a specific amount of time without the need to purchase a visa. Visas can be expensive and if not obtained, interrupt and cancel travel plans. An advantage of U.S. Citizenship is also that if needed, U.S. passport holders have access to obtain assistance from the American government when overseas. Keep in mind that every time a permanent resident or green card holder reenters the United States after traveling abroad, reentry is always at the discretion of a USCIS officer. Discrepancy of information or an old photo on a green card could create time-consuming and expensive problems and delays. Most importantly, deportation is a higher risk for a green card holder. A green card holder must always posess a valid card, and forgotten or lapsed renewals can create major issues. Criminal offenses can result in problems for a green card renewal and some of those situations even may cause permanent residency to be revoked. With the exception of a crime against the state, U.S. Citizenship is good for life and does not require renewal or additional paperwork. If you are interested in learning more about obtaining U.S. Citizenship, FES Immigration Law is available to you for a confidential consultation. We can answer your questions as they pertain to your specific needs. If your choice is to proceed on the path to U.S. citizenship, FES Immigration Law will be most happy to provide you with step-by-step guidance through the USCIS immigration applications and acceptance procedures. Call us today at (813) 530-5992. What is the Diversity Immigrant Visa Program All About and When is the Next Application Period?What Exactly is Dual Citizenship? © 2017 FES Immigration Law - This website is designed to provide general information only. The information provided on this website does not constitute legal advice and does not create an attorney-client relationship.